Most of the animals at Addo were amazing models and allowed me to really take some gorgeous close up photographs. 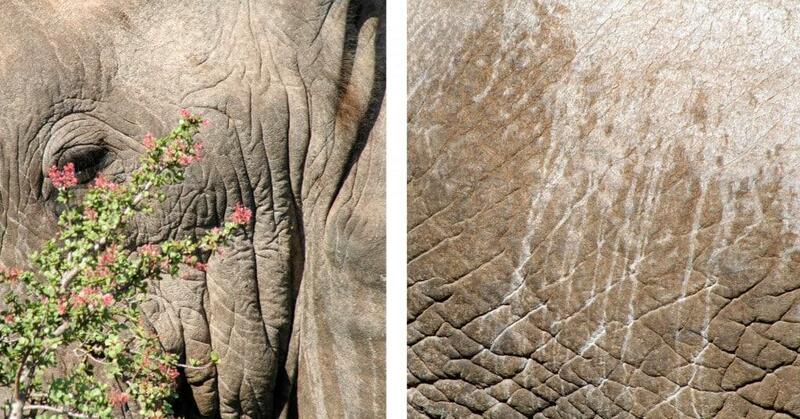 The elephants were my favourite to stare at becuase of all their wrinkles, creases and mud marks. There were a lot of big tortoises at Addo and I got to really ‘study’ them and I found them quite fascinating. Look at how the loose skin on the back leg pulls and folds. Warthogs are always so funny to watch run. Unfortunately these ones were so comfortable with the vehicle they just carried on eating their grass whilst I snapped away. Their eye hairs are very long. To see more pictures of my trip to addo visit my Addo flickr set. There are some photographs that would make fantastic desktops. Currently I have a photograph of an elephant on my desktop but next week I will feature this close up photograph of the ostrich. (P.S. I have to mention how cute this little elephant photograph is). 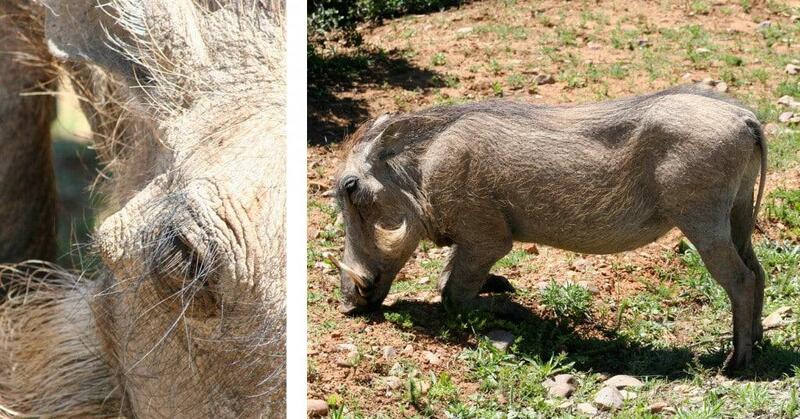 This entry was posted in Blog and tagged addo elephant park, close up photographs, elephant, elephant skin, tortoise, warthog, warthog hair. I used to have a pet tortoise and whenever I saw his back legs, it always reminded me of an elephant’s legs – just miniaturized. Lovely piccies. Long time since I have left you a comment……How are you??? Nice images. Is the laptop bag finish soon?? It`s atum in Norway now, and all the summerdays is over. fabulous photos Wendren. What a brave girl you are to get that close to an ostrich! Fantastic photoÂ´s ,Wendren!I wish I could be there too! Love the way you placed emphasis on all those details, the Addo is a good game guranteed place, I also enjoyed it thoroughly a short while back for the first time…normally its alwys been the kRUGER.